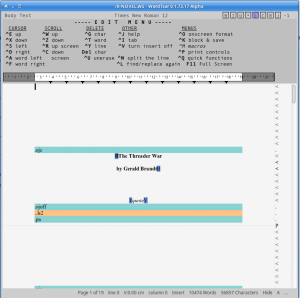 We made WordTsar 0.40 Alpha available to registered early testers today. 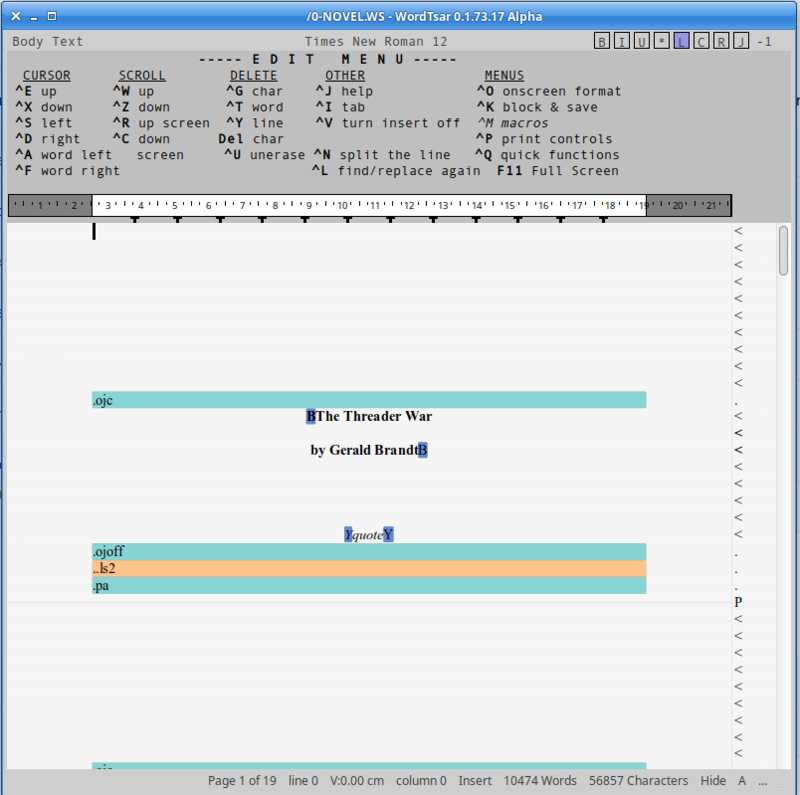 We have a ways to go before we get a full Wordstar clone, but we are on the way. To apply to be a registered early tester, please fsee the registration tab above.